Today, we will be focusing on “Mindfulness” – the Third Part of Weight Loss Nation’s path to Living a Long-Term Healthy Lifestyle. In fact, Cliff has been overweight since he was around 18 years old. Seeing himself as a “fat person,” Cliff was on the lose weight, gain weight back path, the same path that many of you have been on in your life. You know I’ve walked that path for 50 years of my own life! 2. Cliff had to commit to working out six days a week. 3. Cliff had to agree to attend a triathlon Ken was putting on in Nashville later that year. Cliff thought about it and it soon became clear to Cliff that he had changed his identity. “Cliff” who works out six days a week guy, and not the “Cliff” is a “fat person” guy. Cliff went on to fulfill his commitment to Ken Davis and as the date of our interview, has lost 73 lbs. ! Cliff is now planning “Tony Robbins” style live events. His first event, “Free the Dream,” will be held in Nashville, Tennessee in September. 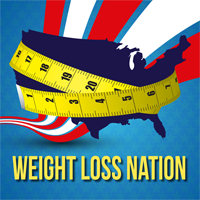 Thank you for listening to Weight Loss Nation! If you enjoy the content of this podcast, spread the love and REVIEW our Podcast! Help me…Help 100,000 people in the Tampa Bay area LIVE a Long-Term Healthy Lifestyle!